We’d love your help. Let us know what’s wrong with this preview of 1001 Beers by Adrian Tierney-Jones. To ask other readers questions about 1001 Beers, please sign up. Okay here's what we do. First we apply to the British Arts Council for a grant. That's the easy part. Then we get this book and buy one bottle of each of the 1001 great beers. Then, we buy the 1001 albums we must hear before we die, the 1001 movies we have to see before we die and the 1001 books we have to read before we die. sadly, I think we have to admit we can't fit the 1001 men and/or 1001 women we must shag before we die into this project. That part is just impractical, and anyway, there's Okay here's what we do. First we apply to the British Arts Council for a grant. That's the easy part. 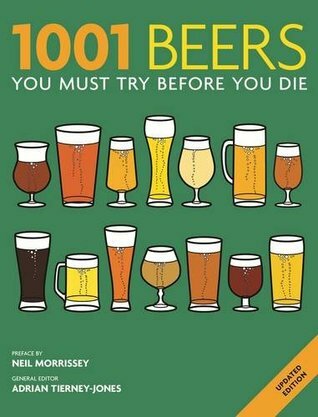 Then we get this book and buy one bottle of each of the 1001 great beers. Then, we buy the 1001 albums we must hear before we die, the 1001 movies we have to see before we die and the 1001 books we have to read before we die. sadly, I think we have to admit we can't fit the 1001 men and/or 1001 women we must shag before we die into this project. That part is just impractical, and anyway, there's no guide yet published, so we wouldn't know who they are. (You might be one of them! Imagine finding yourself on page 723!) So, with our books, movies, albums and beers piled onto a chartered jet, we set off for the first of the 1001 fabulous places we must visit before we die. Let's say it's Skeleton Coast, Namibia – apparently that’s one of them. So we get there, we stay in one of the 1001 hotels we must stay in before we die, we eat one of the 1001 breakfasts we must eat before we die, then we get started on the first movie, the first album and the first book. Memo : this would all be much more sensible if there WAS a guide to the 1001 men and 1001 women you have to shag before you die. Because then, these 2002 beauteous curvaceous non-botoxed depilated and remarkably humble yet thrillingly bold creatures could all go off and read, visit, guzzle, eat, watch and shag. And I’m sure a camera crew would be with them so we could watch the reality tv show which ensued. And they would be ticking away at lists the whole day long, as they traipsed on and off the chartered jet - done that, read that, oops, not done Finnegans Wake yet and I've not shagged YOU yet, do you think we could do both tonight darling, whilst sharing this very respectable bottle of Scruttock's Old Dirigible? I'll see you in Room 69 at 7.45. At 9 I'm booked for a double bill of Fellini Satyricon and Ken Loach's gritty depiction of working class desperation Raining Stones. Oh and while we're shagging and reading finnegans Wake could we play Public Enemy's It takes A Nation of Millions To Hold Us Back? I haven't heard that one yet. Thanks awfully. And when they got to the last book, the last movie, last album, last breakfast and the last enfeebled shag in the last hotel, a waiter looking a lot like John Cleese would be solicitously enquiring “just one more Chekhov short story, Mesdames et messieurs, just one more B side, one little extra movie trailer, one more ‘umble banger, one more rasher of bacon” but he would find they had all expired with uncanny expressions of horror on their by now raddled, uncomely faces because there was nothing life could now offer them. 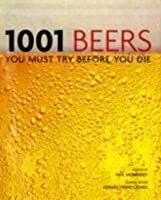 I'm not sure if this is really 1001 beers anyone should try before they die. It's much more of a coffee table book. Any attempt to create a list of beers to try will invariably be rendered arbitrary by the sheer quantity and variety of beers available; without any hyperbole intended, it is quite literally possible to generate 1,001 lists of 1,001 beers to try without any overlap. With that said, I felt that the list and the way that the beers were laid out, made for both an entertaining and informative read. 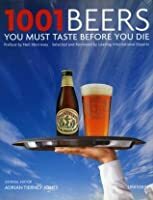 Though the book contains a fair amount of beer knowledge, its true point (in this reviewer's opinion) Any attempt to create a list of beers to try will invariably be rendered arbitrary by the sheer quantity and variety of beers available; without any hyperbole intended, it is quite literally possible to generate 1,001 lists of 1,001 beers to try without any overlap. With that said, I felt that the list and the way that the beers were laid out, made for both an entertaining and informative read. Though the book contains a fair amount of beer knowledge, its true point (in this reviewer's opinion) is simply to inform on a number of different styles of beers. 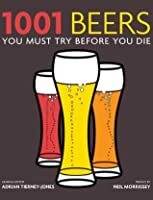 As a beer aficionado who keeps his own list of beers tried (approaching 700), I found the book to be a useful resource as it provided me with specific suggestions of beers or even styles that I had never encountered before. Whether one is interested in reading about a variety of beers within a single type or beers that represent a multitude of styles, 1,001 Beers is an excellent read. My largest and, perhaps, only gripe with the book (and one for which you will have to forgive me) is the writing. Granted, I would not expect a book whose purpose is recreational erudition, at the loftiest end, or simple cataloguing at the opposing pole, to be filled with flowing lyricism and musical metaphors...but when such a book attempts to do so sporadically, the lack of consistency in writing comes across as an identity crisis of sorts. Granted, again, that each beer entry is written by one of a number of contributors and, consequently, there will be a noticeable difference between writing styles, I still feel that the lack of unity in the writing took something away from the overall reading experience; seeing some bizarre or inexcusable typographical errors didn't help either. I can understand also the difficulty in describing literally hundreds of "dark" beers, for example, and keeping the tasting notes fresh and varied...but to see no fewer than half a dozen or more beers described as "dark as a moonless night" is a bit redundant. 4. Some nice story and anecdotes about the beer, brewery, etc. Obviously not a book to read cover to cover (unless you're insanely obsessed with beer!) Over one thousand beers is a lot of brewskies and you'll never sample them all, but here is where to start your exploration. Broken down by region, type and brewery (indexes for the 1st and 3rd), this book is a valuable source of information. Begin by browsing the types: Amber, Blonde, White, Dark, Specialty, then search by country or brewery for your specific faves. And yet, so many seem to be missing. Still and all, a global representation and given the quality of those already tasted I'd vouch for the rest too. A lot of good history for the beers and breweries too which is most welcome. A Father's Day present, thankyouverymuch, SJP! I've drunk about 20 of these. So only 9981 to go! Hic. Flipping through this makes me thirsty.Good thing I got beer. 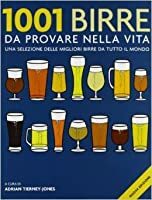 Great book on different beers around the world to try, with detailed descriptions and clear photos of each bottle to help you identify them. At my last count, I've had around 200 so only 801 to go!